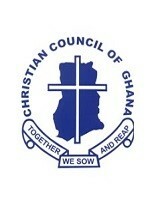 The Christian Council of Ghana (CCG) will in the early part of 2019, collaborate with other Christian bodies to self-regulate and eliminate excesses that have engulfed part of the church. Some of the churches and their pastors in the country have been reported in the news as involving in all sorts of acts including; money extortion, lottery, abusing of members, among others, which goes against the principles of the Bible. Such acts have also attracted public criticisms in recent times and putting the church in disrepute. “We are still trying to find the best way to handle that situation without infringing on people’s right to worship”, General Secretary of the Christian Council the Revered Dr Cyril G.K. Fayose,” said. Speaking in an interview with the Ghana News Agency on Monday in Accra on what the Council was doing to help sanitise the church in Ghana in the coming years, Rev Fayose said, it was unfortunate that the excesses that had engulfed the church were not corrected till now. He said the situation was more compounded as many of the churches and their pastors did not belong to any body or institution, neither were the pastors well-trained in Ministry work. He said in the New Year, the Council, and the Catholic Bishops Conference, the National Association of Charismatic Churches, and the Ghana Pentecostal Council would be engaging some of the pastors in a roundtable and do some sort of peer review, all aimed towards sanitising the church. Rev Fayose used the occasion to wish all Ghanaians a happy and prosperous New Year.